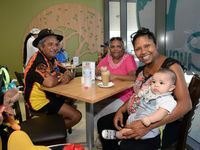 THE new Indigenous Wellbeing Centre building is now officially open, with a family fun day providing an opportunity for community members to get a look inside the multimillion-dollar facility. 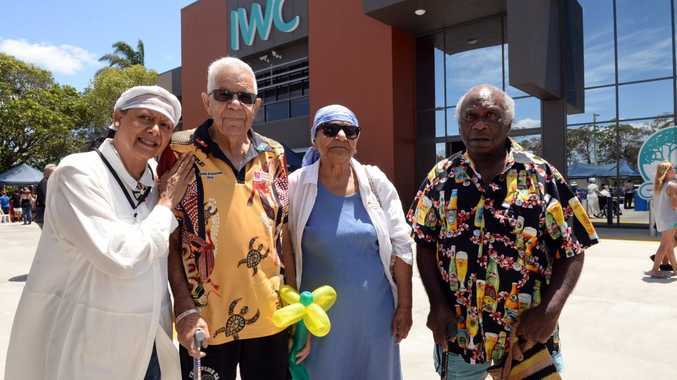 IWC general manager Wayne Mulvany said the new multi-purpose building, at the corner of Barolin St and Sims Rd, housed health care and community services for vulnerable and disadvantaged people across the Wide Bay. "Saturday was an opportunity for the community to meet the staff and ask questions about the services available," he said. "It was also about debunking some of the myths about 'what's behind the glass walls' and giving people a chance to see for themselves what's inside." 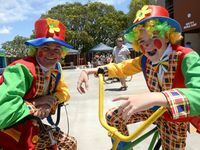 Mr Mulvany said the building was operational from about six weeks ago but Saturday's event was a chance to celebrate a lot of hard work from all involved in the project over a number of years, and to involve the community in a relaxed atmosphere.